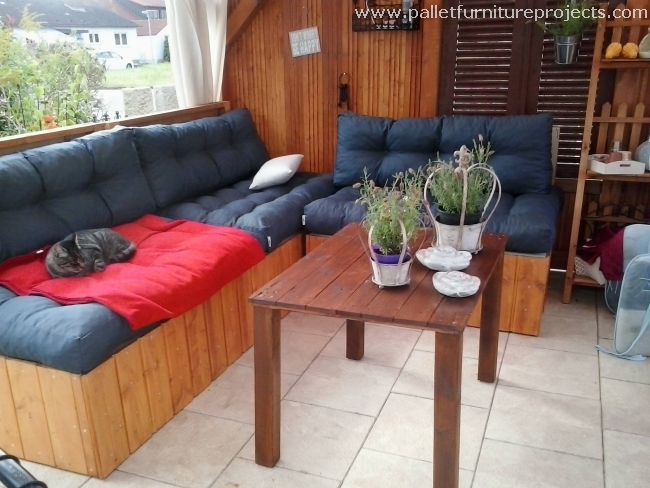 So you guys need some more wonderful pallet wood furniture ideas? I know you are so damn lusty for them, and so am I. so no worries at all. I am compelled to bring some ever new pallet wood creations, and they would be just more than enough for you guys. The very day since I have started recycling pallet wood creations, my life is changed. People ask me that where do I get all of these inspirations from. Being honest, I borrow some of them from different platforms, and most of them are my brain child. Just like these hallway tables that earlier we were compelled to buy from the market. Our finances were always drained out and still we weren’t happy at all at what we got, but in pallet wood recycling the case is entirely different. Our efforts really pay us very well. 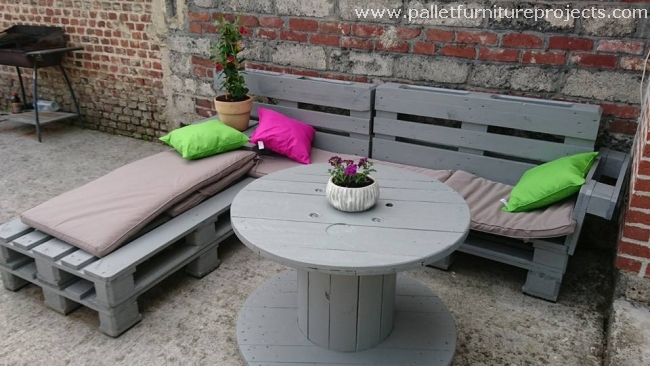 Look at these outdoor pallet wood creations, we made them with some broken shipping pallets which were just a piece of trash and garbage for us. But we gave them an entirely new life by recycling them. A bench is a perfect remedy for your outdoor sitting plans with the least expenses incurred. 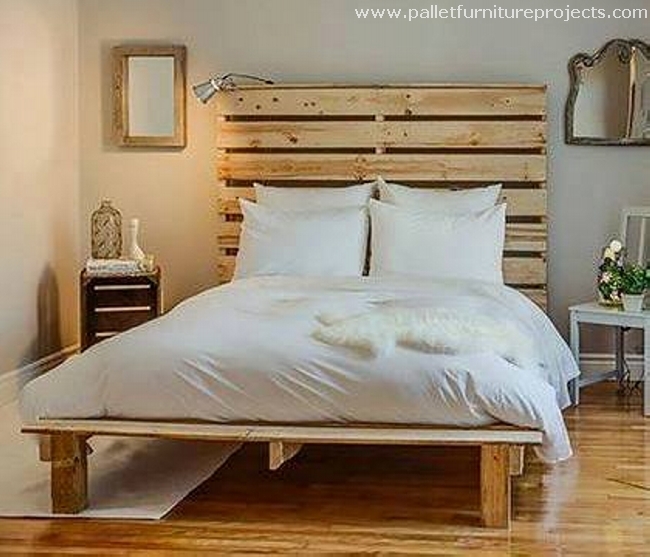 A good pallet wood repurposed item can’t get better than this wooden pallet recycled room bed, because you always need one for your room. 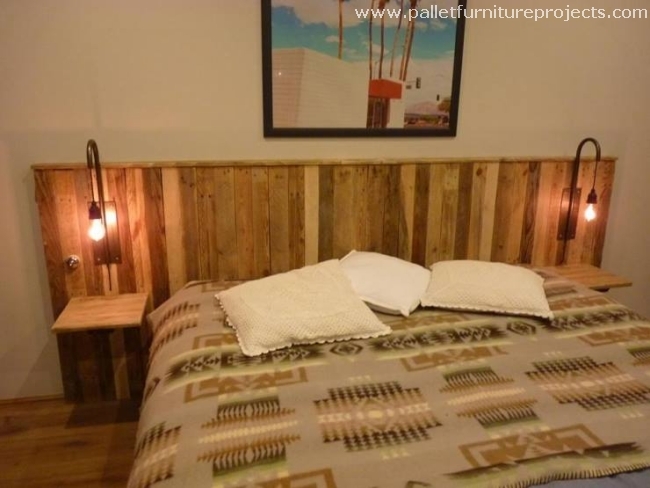 This bed with an elegant headboard is an exception to those rough pallet wood creations, despite of the simplest design it still makes a perfect room furniture item. Just with some minor additions we can change the normal headboard all along, like here we added some lighting installations fixed on the headboard along with a couple of extended racks that could perfectly turn to be a bed side table. They would help you in the night time with some of the accessories like a jug of water, or a bed time book etc. 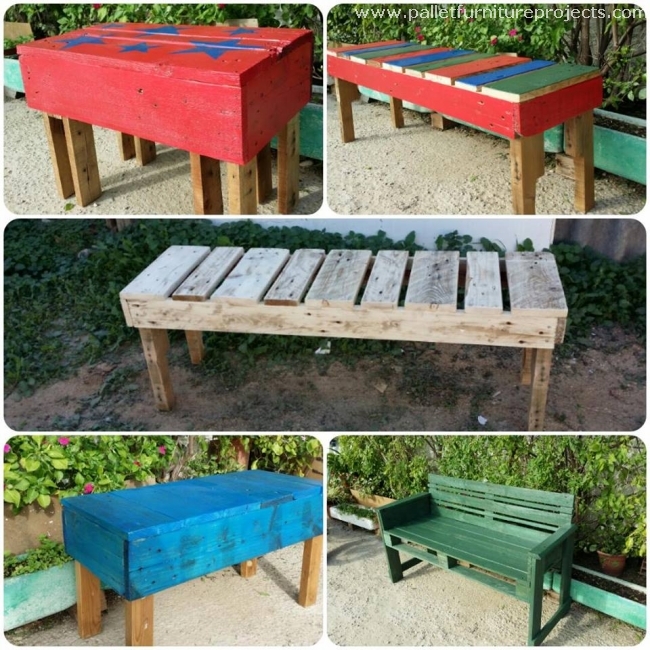 All of these wonderful pallet wood creations just could be possible with the shipping pallets that we already have had in our backyard. 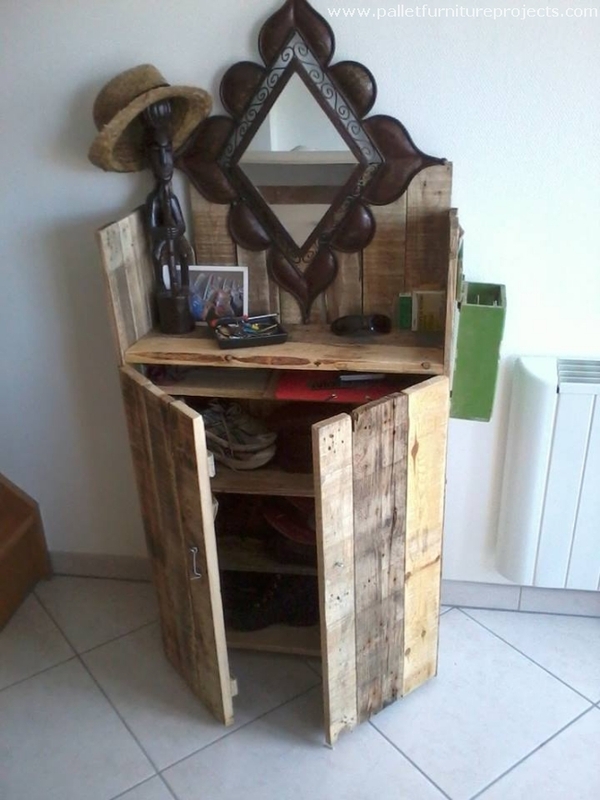 And the credit goes to the art of pallet wood repurposing. 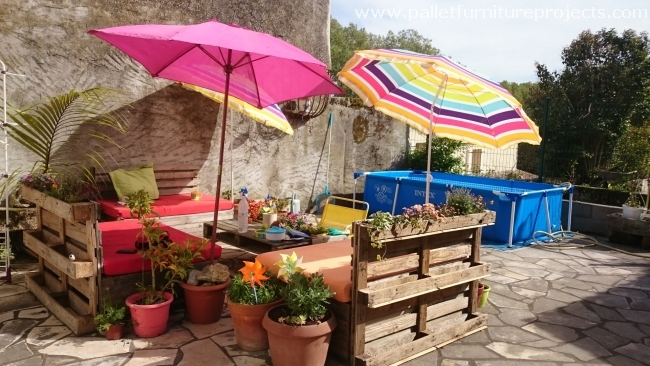 In some isolated corner of the house where you have some shaded area, to turn it into a proper sitting space you can not afford to spend some robust amount to buy the furniture, in this situation the pallet wood is your savior. Make your desired furniture items for the said space against minor expenses. 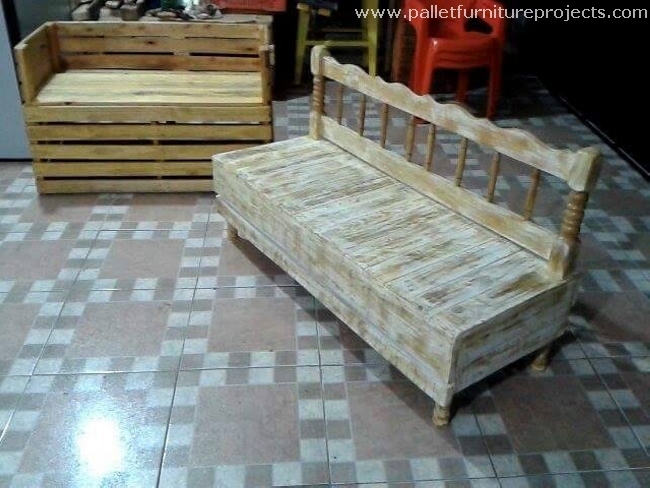 And this sort of pallet wood creations are just meant to put in use the broken timber that you are left with, like if you don’t want any raw furniture items made with the deteriorated pallets, recycle something that could be just a storage hack or a side item like anything. 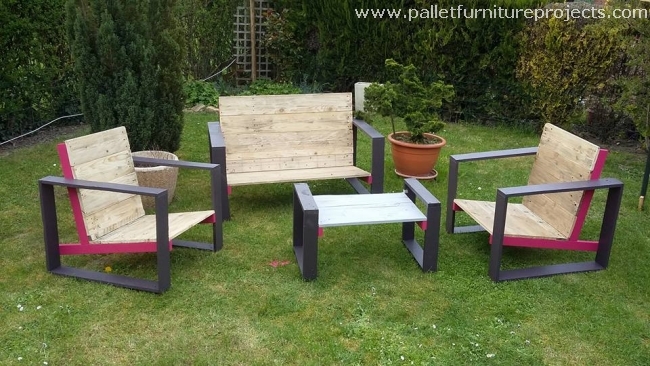 But recycling this sort of classic pallet wood furniture range would be something of the next level. This would define your room interior in a totally different manner. 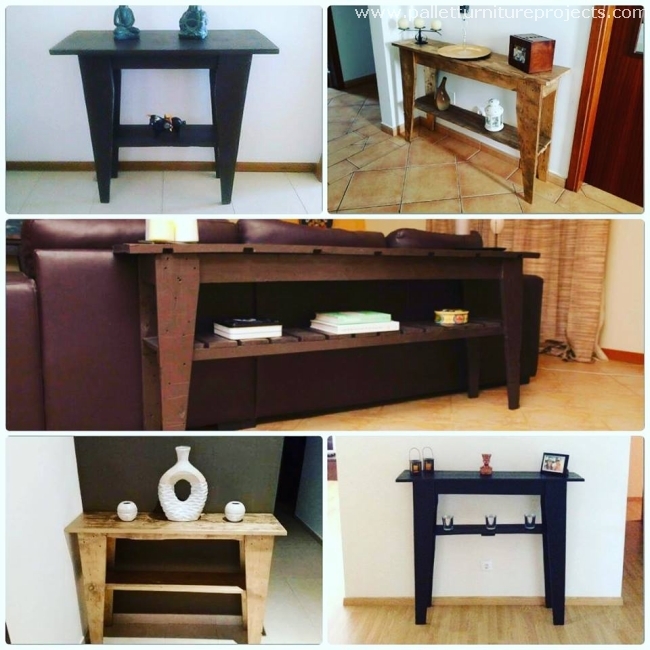 This would give you the freedom to build what you imagined, so just feel free with all of these wonderful pallet wood creations.